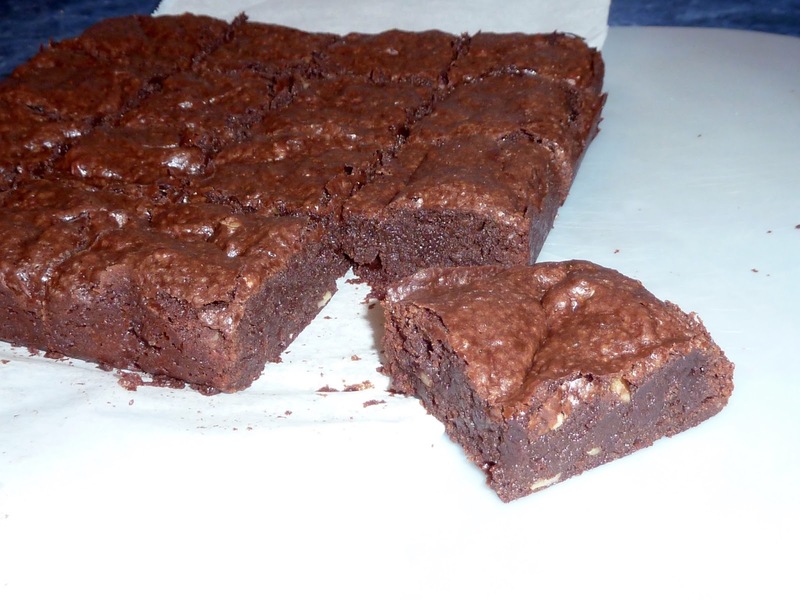 These brownies are perfectly decadent. So rich and chocolatey with a fudgy melt-in-your-mouth texture and a gentle hint of bananas. We had some when they were still a bit warm and let me just say that the whole batch could have been eaten in one sitting by three people if we did not pause to think and take some control of ourselves. I based the recipe on a Minnesota State Fair winning recipe that I found on Cookie Madness’s blog. As usual, I converted it into a gluten free version. I made the first batch using oil in place of melted butter for my dairy free friends. I made the second batch with melted unsalted butter. They were both amazing. The oil version was a bit moister and fudgier, but this could be due to the temperature of the oven more than the oil. I am still getting used to baking in the new home with a new (to me) oven and though the oven thermometer said it was the correct temperature when I put the brownies in, by the time I went to turn them half way through the baking time, the oven temperature had dropped by ten degrees. With gluten free baking a hot enough oven is crucial to cooking baked goods inside and out. If it is not hot enough you do not get the correct rise and the center stays a bit dense. 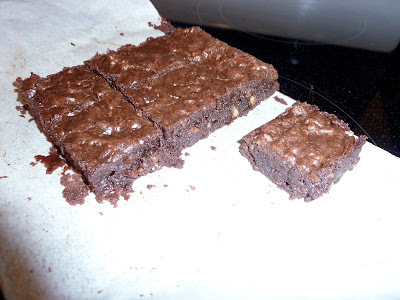 With fudge-like brownies this denseness is not a problem, with a cake it can lead to a sink hole in the center and a very “off” texture (with bread you get a raw or paste-like center). One other observation that could be helpful is about the chocolate. I ran low on semisweet chocolate with the second batch. When I searched on line for information, the baking sites stated that bittersweet and semisweet chocolate could be used interchangeably. My bittersweet chips were 85% chocolate and a taste of the batter indicated to me that I needed to add more sugar. I ended up adding about 1 Tbs. more sugar per each ounce of bittersweet chocolate that I used to replace each ounce of semisweet chocolate. In the end, the brownies in which I used the larger amount of bittersweet chocolate tasted a bit different, a bit more bitter, but still delicious. If you want brownies to cut perfectly (no crumbly edges) or into very small pieces, chill the brownies first. Some people freeze them and then slice them with a serrated knife. I know I could have done this for perfect looking pieces to take photos of, but my friends popped by just as they were cooling down. We waited as long as we could, chatting while sitting in a house filled with the irresistible aroma of fresh baked brownies. OK, the warm brownies stuck to the knife, but they were to die for. I love fudgy brownies. 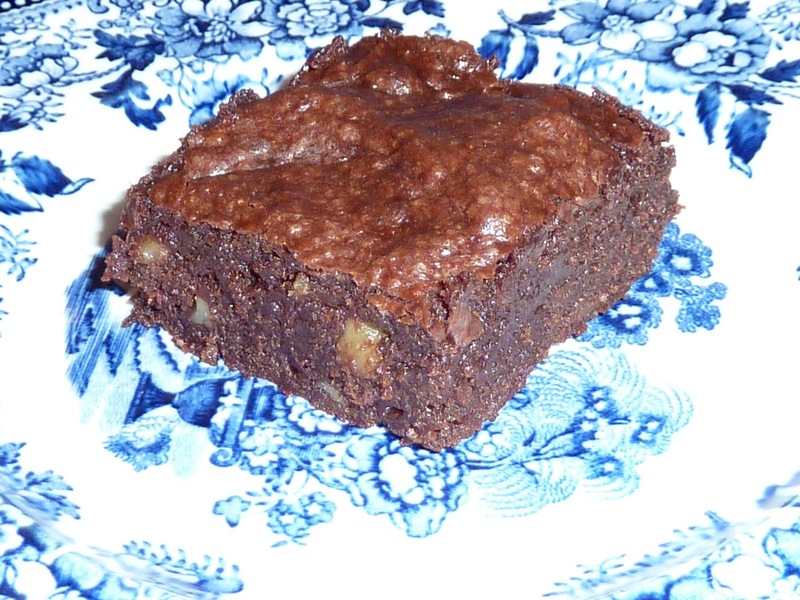 If a brownie is cake-like then it is a cake and not a brownie. I love brownie cakes too, but I refuse to call them brownies. Himalayan Sea Salt (use ¼ tsp. if your butter is salted. Preheat the oven to 325℉. 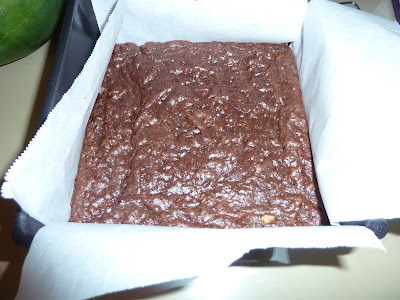 Prepare an 8” X 8” square pan by lining it with parchment paper or aluminum foil. If using foil grease the bottom. Lining the pan makes it so easy to remove them from the pan. In a large saucepan, add the unsalted butter or oil, the 5 oz. of semisweet and 1 oz. of bittersweet chocolate chips or chopped pieces. Using very low heat stir until the chocolate is melted. Melting the chips and oil or butter over low heat. Add the sugar to the still hot melted chocolate and stir. Set aside to cool down while preparing the other ingredients. In a small bowl add the flours, cocoa, salt and xanthan gum. Mix together well with a whisk and set aside. Dry ingredients mixed with a whisk. Mash the banana in a bowl and add to the cooled chocolate mixture in the pot and stir in. Add the flour mixture and mix until well incorporated. Stir in the ½ cup of chips and ½ cup of chopped nuts, if using. Folding in the nuts and chips (optional). 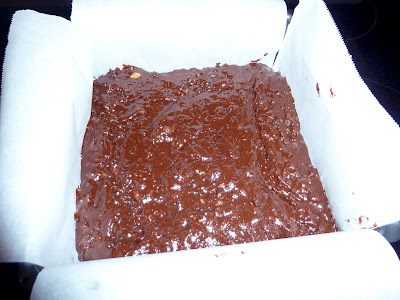 Raw batter in the parchment lined pan. Bake for 35-40 minutes (I used the 40 minutes). The edges should puff up slightly and the center should be cooked, but still a bit soft. The top usually develops a light crust, but don’t worry if it does not, it will still taste wonderful. 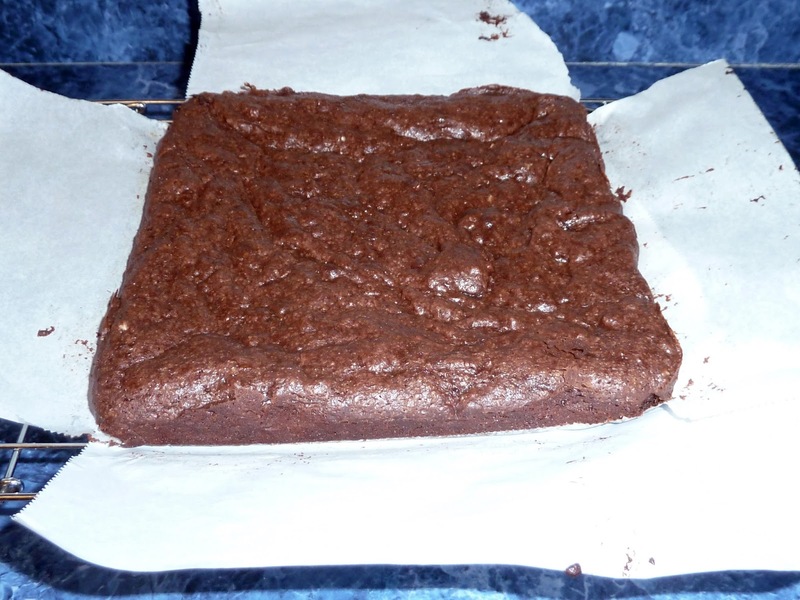 Dairy Free brownies just baked in the pan. Dairy Free brownies transferred to a rack to cool completely. 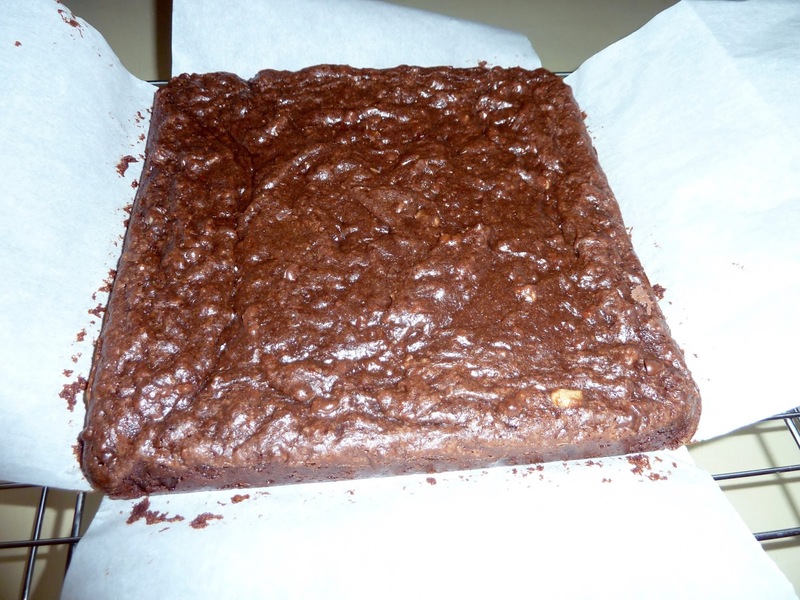 Butter brownies, baked when the oven was the correct temperature. Note the sides puffed up slightly. 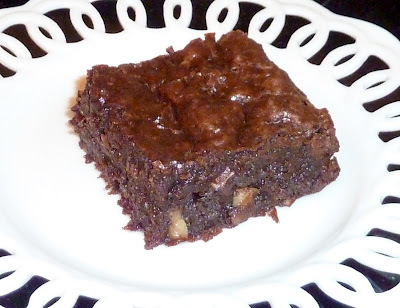 GLUTEN FREE TRIPLE CHOCOLATE BANANA BROWNIES Ingredients 6 Tbs Unsalted Butter – melted For Dairy Free use a light tasting oil such as Canola 5 oz. 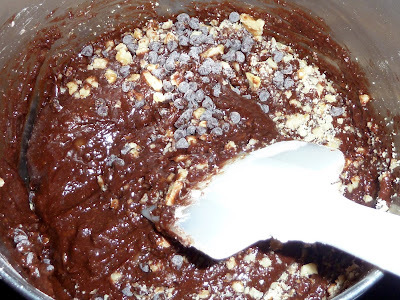 Semisweet chocolate chopped or use chips 1 oz. Bittersweet chocolate chopped or use chips 1 tsp. Vanilla Extract For dairy free I used ½ tsp of vanilla extract and ½ tsp. of ‘butter vanilla’. 2 large Eggs ¼ cup Ripe Banana - mashed ½ cup Brown Sugar – packed ½ cup Granulated Sugar ½ cup Sorghum Flour 2 Tbs. Tapioca Flour 2 Tbs. 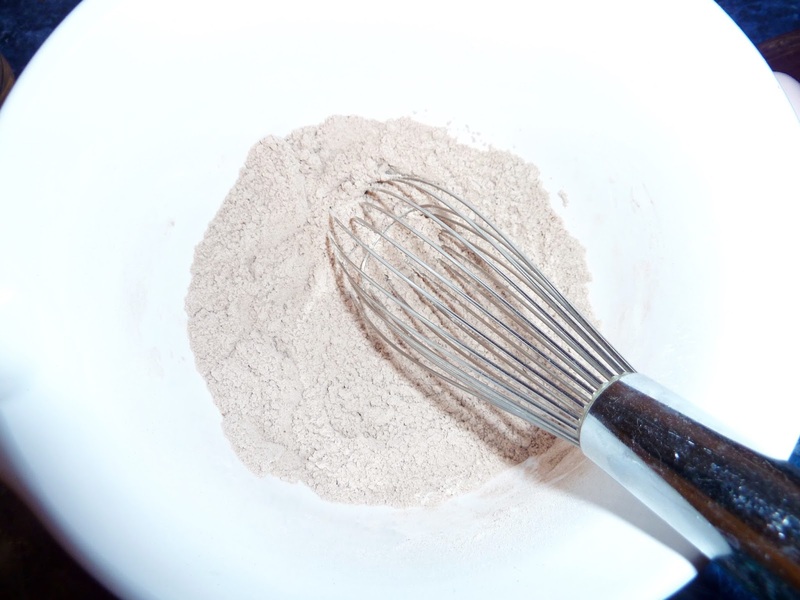 Chickpea Flour ½ tsp. Xanthan Gum ½ tsp. Himalayan Sea Salt (use ¼ tsp. is your butter is salted. 1 Tbs. 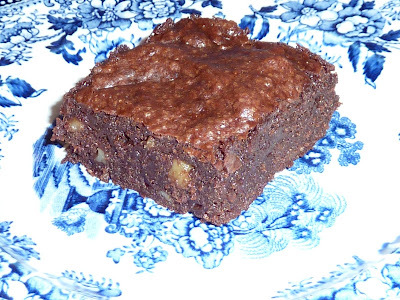 Cocoa Powder ½ cup Walnuts- chopped (optional) to fold into the batter ½ cup Semisweet Chocolate Chips (optional) to fold into the batter Directions 1)Preheat the oven to 325℉. Prepare an 8” X 8” square pan by lining it with parchment paper or aluminum foil. If using foil grease the bottom. Lining the pan makes it so easy to remove them from the pan. 2)In a large saucepan, add the unsalted butter or oil, the 5 oz. of semisweet and 1 oz. of bittersweet chocolate chips or chopped pieces. 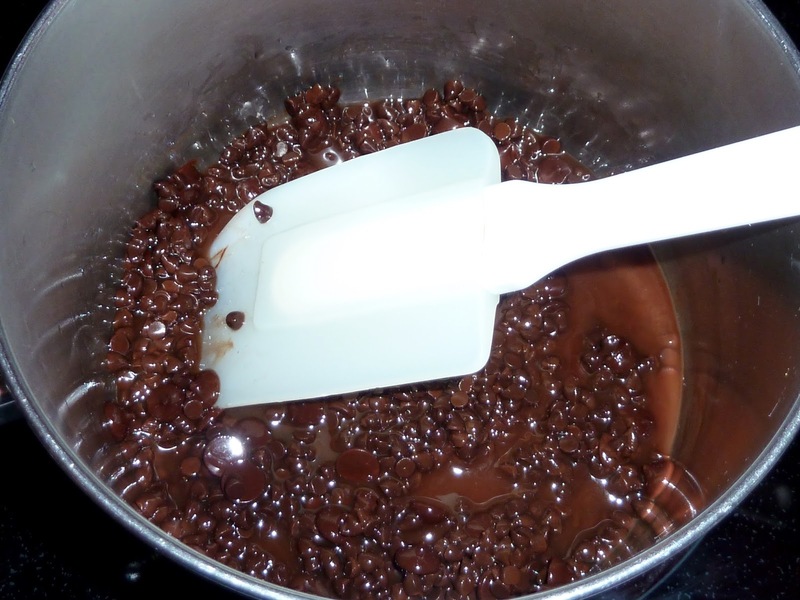 Using very low heat stir until the chocolate is melted. 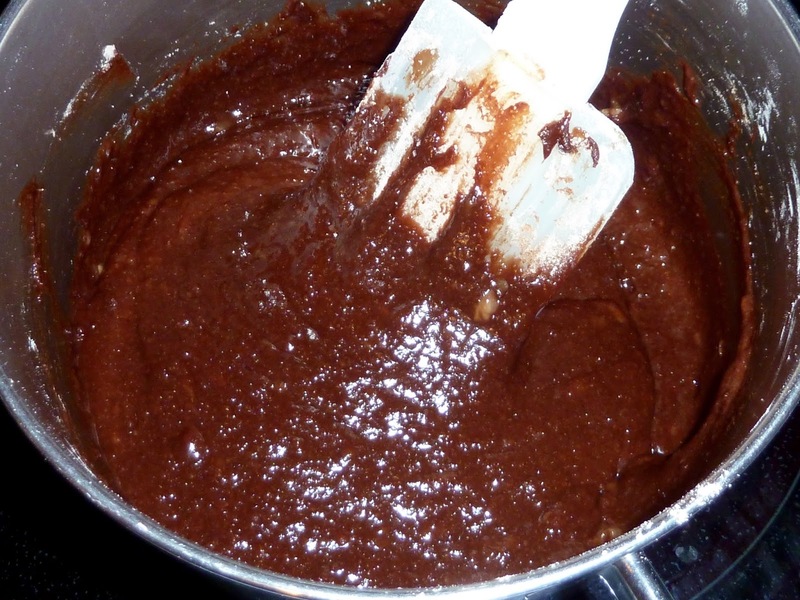 3)Add the sugar to the still hot melted chocolate and stir. Set aside to cool down while preparing the other ingredients. 4)In a small bowl add the flours, cocoa, salt and xanthan gum. Mix together well with a whisk and set aside. 5)Mash the banana in a bowl and add to the cooled chocolate mixture in the pot and stir in. 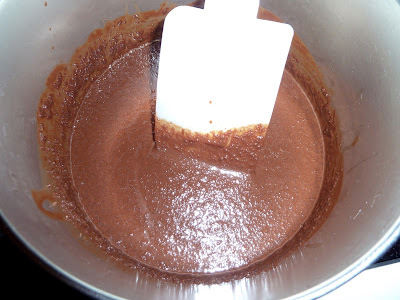 6)Add the eggs and vanilla to the chocolate mixture and stir until smooth. 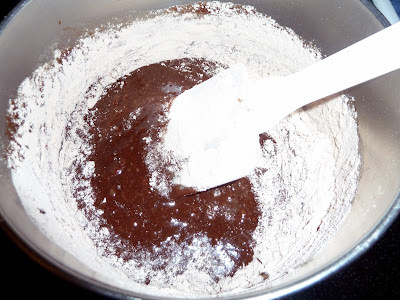 7)Add the flour mixture and mix until well incorporated. 8)Stir in the ½ cup of chips and ½ cup of chopped nuts, if using. 9)Spread the batter evenly into the prepared pan. 10)Bake for 35-40 minutes (I used the 40 minutes). The edges should puff up slightly and the center should be cooked, but still a bit soft. The top usually develops a light crust, but don’t worry if it does not, it will still taste wonderful.